Support acts have now been revealed for Hatebreeds forthcoming "20 Years Of Desire / 15 Years Of Perseverance" tour, which will kick of in late October. 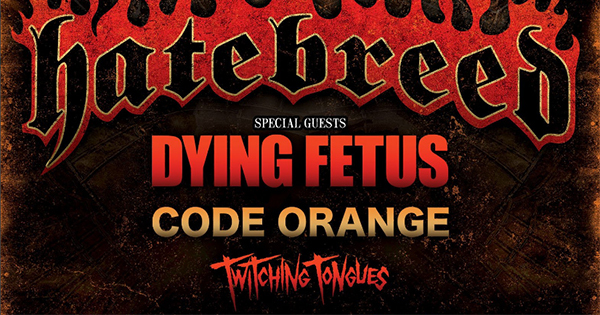 Rounding out the bill will be Dying Fetus, Code Orange, and Twitching Tongues. Dates can be found below.